TechSpot: What is Cloud Computing? It is a few years since we started to hear about cloud computing, many of us do not know what exactly it means. In the world of IT, changes are always welcome, and it sometimes over rides the present gadgets and technologies. We can define the term cloud computing in this particular view point. The technology called ‘cloud computing’ can be mentioned as a new variety of our so called “client server system”. 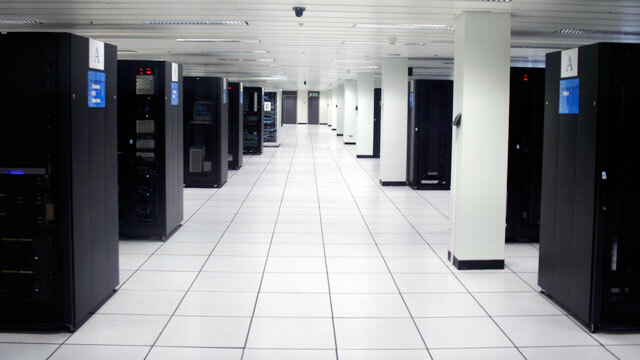 In a client server system, all client computers or desktops or user workstations are accessing resources and files from a centralized server. But usually the client server system will span inside a LAN or corporate network. The concept of cloud computer can be basically compared to client server, but it spans to the internet. We can user applications, server spaces, and shared resources from the internet. After the complete implementation of the cloud computing, there will be no necessity for local hard drive resources; even we do not need an operating system. It is said that Google is developing a new operating system which is coming under the cloud computing system. You need to have a laptop and internet connection, and no need of operating system installed on your laptop. When you turn on the laptop, it will contact Google server which contains the operating system, and load it to the ‘RAM’ of the laptop. That is It.! OS is centralized. It looks like pretty soon all computing will be called cloud computing, just because the cloud is “in.” Fortunately most computer savvy folks actually have a pretty good idea of what the term ‘cloud computing’ means: outsourced, pay-as-you-go, on-demand, somewhere in the internet, etc. What is still confusing to many is how the different offerings compare from Amazon Web Services to Google App Engine and Force.com. Dell, IBM, Sun, Microsoft, Amazon and many others are all doing it this year. Cloud computing is a type of computing that is comparable to grid computing, relies on sharing computing resources rather than having local servers or personal devices to handle applications. The goal of cloud computing is to apply traditional supercomputing power (normally used by military and research facilities) to perform tens of trillions of computations per second. To do this, Cloud computing networks large groups of servers, usually those with low-cost consumer PC technology, with specialized connections to spread data-processing chores across them. This shared IT infrastructure contains large pools of systems that are linked together. Often, virtualization techniques are used to maximize the power of cloud computing. There are many people out there who believe the term cloud computing is just another buzzword that is used to describe too many technologies, making it confusing to many. The term Cloud computing has been used to mean grid computing, utility computing, software as a service, Internet-based applications, autonomic computing, peer-to-peer computing and remote processing. When most people use the term, they may have one of these ideas in mind, but the listener might be thinking about something else. Regardless if you share this view or not, you’re bound to hear more on cloud computing in the coming year. This vast processing power is made possible though distributed, large-scale cluster computing, often in concert with server virtualization software, like Xen, and parallel processing. Cloud computing can be contrasted with the traditional desktop computing model, where the resources of a single desktop computer are used to complete tasks, and an expansion of the client/server model. To paraphrase Sun Microsystems’ famous adage, in cloud computing the network becomes the supercomputer. Cloud computing is often used to sort through enormous amounts of data. In fact, Google has an initial edge in cloud computing precisely because of its need to produce instant, accurate results for millions of incoming search inquries every day, parsing through the terabytes of Internet data cached on its servers. Google’s approach has been to design and manufacture hundreds of thousands of its own servers from commodity components, connecting relatively inexpensive processors in parallel to create an immensely powerful, scalable system. Google Apps, Maps and Gmail are all based in the cloud. Other companies have already created Web-based operating systems that collect online applications into Flash-based graphic user interfaces (GUIs), often using a look and feel intentionally quite similar to Windows. Hundreds of organizations are already offering free Web services in the cloud. In many ways, however, cloud computing is simply a buzzword used to repackage grid computing and utility computing, both of which have existed for decades. Like grid computing, cloud computing requires the use of software that can divide and distribute components of a program to thousands of computers. New advances in processors, virtualization technology, disk storage, broadband Internet access and fast, inexpensive servers have all combined to make cloud computing a compelling paradigm. Cloud computing allows users and companies to pay for and use the services and storage that they need, when they need them and, as wireless broadband connection options grow, where they need them. Customers can be billed based upon server utlilization, processing power used or bandwidth consumed. As a result, cloud computing has the potential to upend the software industry entirely, as applications are purchased, licensed and run over the network instead of a user’s desktop. This shift will put data centers and their administrators at the center of the distributed network, as processing power, electricity, bandwidth and storage are all managed remotely.